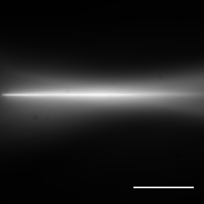 In scanned lightsheet SPIM microscopy, the selective illumination is obtained by rapidly scanning a single focused laser beam on a plane, while the same plane is being imaged by a camera looking from the orthogonal direction. 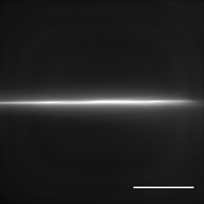 Using a single scanned beam allows for illuminating the sample both with gaussian or Bessel beams, or allows for using two-photon excitation. Moreover, by modulating the intensity of the illuminating beam during the exposure time, it is possible to create a pattern that can be used for acquiring structured illumination images. 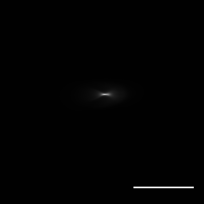 A simple simulation of the imaging process can be seen here. 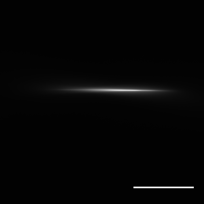 We built a scanned light sheet SPIM. 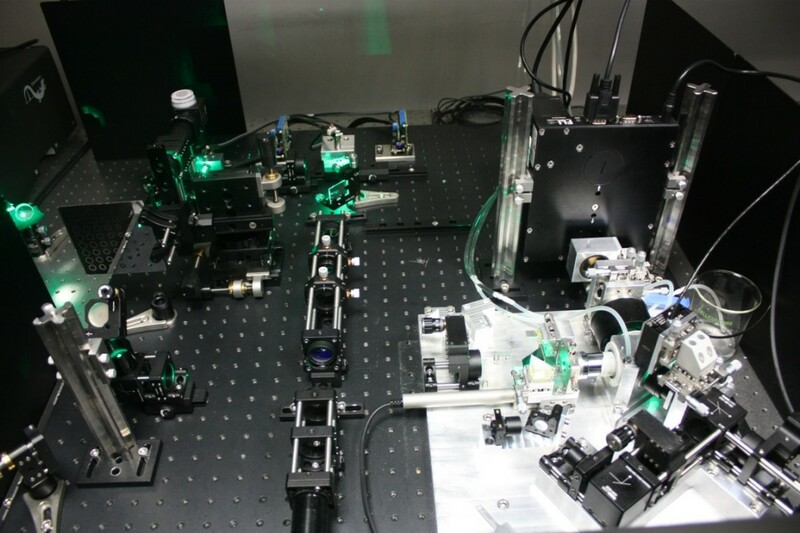 Our setup can be quickly configured for using Gaussian or Bessel beam illumination, both using single or two-photon excitation. 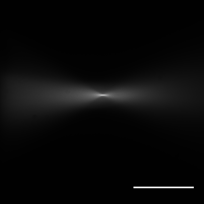 By changing the parameters of the illumination beams, such as the numerical aperture, or its nature (gaussin or Bessel profile) it is possible to control the region where the beam stays focused. 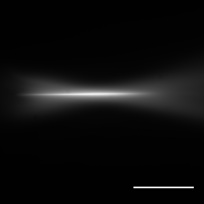 The experimental results agree with the simulated beam profiles.